This month, the world will applaud the latest Nobel Prize recipients, marvelling at the foresight of researchers who dreamed big and changed the world. What goes on quietly in university labs and libraries today may only be celebrated in 30 years – as we see with the Nobel – once the impacts are known. Consider John Polyani’s nobel prize in 1986 in chemical kinetics – in 1958 he discovered chemiluminescence reactions that continue to lead to discoveries in laser technology today. Investments in discovery research have both long-term and short-term benefits. For Canadians to not merely navigate but rather lead our rapidly changing world, Canada needs to invest in research and ensure that young Canadians are properly equipped to flourish. Take a close look at the research ecosystem in Canada and you’ll see it has much to do with skills and talent development. Research opportunities equip young Canadians with the capacity to think creatively and independently, to invent, to solve problems and design solutions – competencies they will need to succeed and adapt in a shifting labour market. Earlier this year the federal government made historic investments in science and university research. With a focus on investing in people and ideas, the 2018 budget promotes increased diversity in science, thereby helping to develop Canada’s next generation of research leaders. The recently announced Innovation Superclusters in oceans, artificial intelligence, advanced manufacturing, protein industries and digital technology reflect strategic investments in talent development drawn on our research strengths. With the momentum of federal investments in research, the opportunity is there for all of us to come together and build a better nation by nurturing talent and ideas. With the private and public sectors coming together, we can and will build greater success for today and tomorrow. We have a roadmap. The 2017 report of Canada’s Fundamental Science Review provides a solid blueprint for a research ecosystem that develops Canadian talent, solves our biggest challenges and fuels our economy. Investments in fundamental research are, of course, investments in students. We need Canada’s future workforce learning alongside top talent, working in leading-edge research facilities and getting hands-on experience through work-integrated research opportunities. 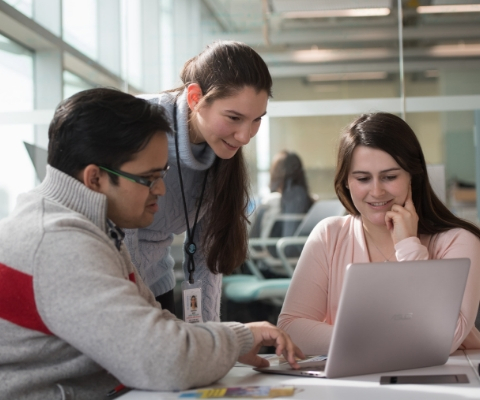 Students develop global competencies through international collaboration that is a significant part of university research today – competencies that are increasingly in demand by today’s employers. Excellent examples abound. In 2017, Facebook established a cutting-edge AI Montreal Lab, FAIR Montreal, in partnership with Prof. Joelle Pineau from the School of Computer Science at McGill University. The investment was made in recognition of Montreal’s global status as a burgeoning hub of AI research and talent. The company was attracted to Montreal because of the pool of AI research embedded in the city. AI excellence is also deeply rooted in Toronto, where discoveries by Prof. Geoffrey Hinton and colleagues fueled the ecosystem, leading to the Vector Institute and attracting numerous homegrown and international companies. In Canada, much of our research work is carried out by graduate students and post-doctoral fellows. Unfortunately, we still have a gap in funding for graduate students. Investments in awards to build this highly qualified talent pool have not kept pace with inflation – in fact, many of the scholarships are the same dollar value that they were 25 years ago. To have an innovative workforce, we need to invest in research. While you might think that the only destination following a PhD is in postsecondary education, a study of the most recent 10,000 people to earn their PhD at the University of Toronto shows that about 40 per cent of these highest-degree holders move into industry, government and the not-for-profit sector. Accustomed to thinking outside the box, many develop their own enterprises. In fact, almost of quarter of Canadian entrepreneurs hold graduate degrees. Experiential learning, such as high-quality, hands-on research experience, helps students learn to think, problem-solve, work in a team, adapt and build their own networks, giving them a competitive advantage in our rapidly changing labour market. Canada’s small- and medium-sized enterprises – making up more than 90 per cent of businesses in this country – count on contracting with university research centres and gaining access to the highly-skilled people working within them. Savvy entrepreneurs see the economic advantage of improving products, scaling up processes and enhancing services using research in labs they couldn’t afford to establish alone. 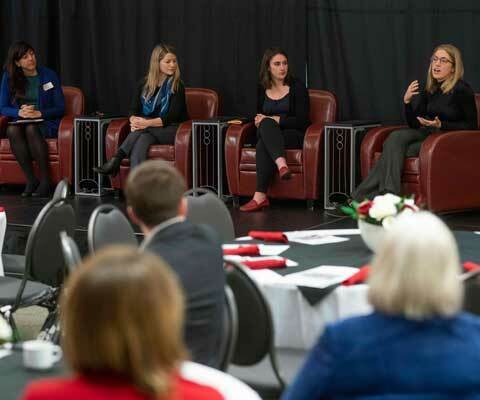 These benefits are magnified when entrepreneurs have access to talented students with research experience, through work-integrated learning such as co-op programs. Now is the time for Canada to be bold and ambitious, to showcase our creativity and secure our competitive advantage through research. We know our economic strength lies in investing in people and ideas. A.I. is booming, but it was the stuff of science fiction when researchers started work in the field decades ago. The same is true for stem cell research. We are only now seeing the dramatic life-saving impacts of stem cells – a Canadian discovery of the 1960s – yet that fundamental research has led to an entirely new approach to medicine and spawned a whole new sector in our economy. We must continue to build on the investments of Budget 2018 to ensure students across Canada are getting the skills employers demand through research opportunities. Investments in graduate student fellowships and research are key to our economy today and tomorrow. We’ve heard the adage “today’s youth are our future.” The future will be shaped by how we ensure the best opportunities for today’s students to question, dream, imagine and create. The research on that is clear. The opportunity for Canada to act is now. Martha Crago is the vice-principal of Research and Innovation at McGill University. Molly Shoichet is a university professor of chemical engineering & applied chemistry and biomaterials & biomedical engineering at the University of Toronto. 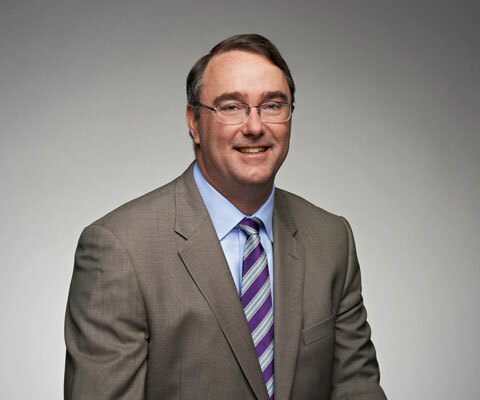 Paul Davidson is president of Universities Canada.